1: Could you introduce yourself to our readers in 100 words or less? 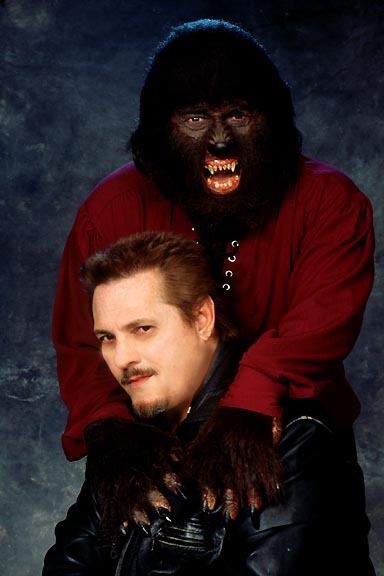 I’m Fred Olen Ray. I’m a film-maker, producer, writer, director. If you don’t know anything about my career you should probably move on to some other blog right now, and find somebody you do know something about. I’ve been in the business a long time, and I’ve made I don’t know how many films, I’ve lost count, and hope to continue doing the same for a few more years. 2: What made you want to pursue a career in low budget horror/”B”/Exploitation Movies? Well, I wanted to be a film-maker, but I wasn’t necessarily interested in being a director. I wanted to be a make-up artist. I started in the business as a special effects make-up artist, but I found myself in between jobs all the time, so I was looking for one position that paid enough money that it would carry me over until I found another position. And it turned out that I was pretty good at being a director, and directing horror films was what I wanted to do, but I learned almost immediately that you couldn’t just make low budget horror and live the lifestyle that I wanted to live. You had to be able to make horror films, action films, comedies, westerns… whatever the market needs I tried to be good at. And I liked being in charge, I liked being at the top of the food chain. I don’t like being told what to do a lot, although everyone has a boss and there are people who tell you what to do, but it trickles down. It helps to be second from the top of the ladder. 3: What has been your favourite experience whilst making a film? I think the thing I liked most about film making when I first got into it was being able to hire actors who I admired, and wanted to learn something about them on a more personal level. I loved working with people like Lee Van Cleef, and Telly Savalas, Martin Landau, John Carradine, Cameron Mitchell, Sybil Danning, Barbara Steele… I mean being able to be the director and cast actors who had delighted me in the drive-in and whose work I had enjoyed was probably my favourite aspect of film-making. 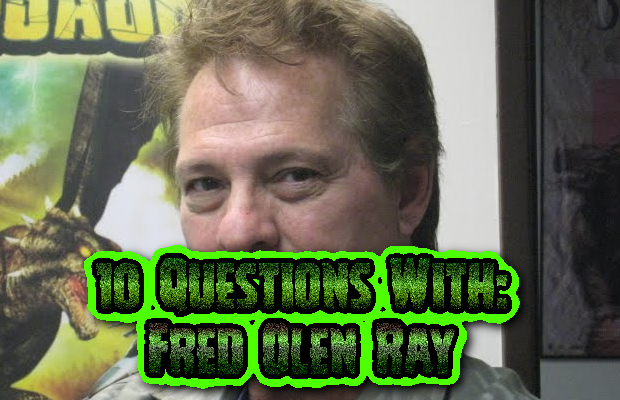 4: What makes for the quintessential “Fred Olen Ray production”? I tend to be a creature of habit. If you’ve done a good job for me I’ll bring you back over and over and over again, so there was almost a stock company of players who would repeat from film to film to film, because we all got to know each other and it was easy to do it. And you could rely on them, and they understood me and I understood them. And I used to try and go out of my way to find older actors who nobody was hiring anymore and out them back into films so there fans could see them. People like Robert Quarry and Martine Beswick, Russ Tamblyn, Tommy Kirk, you know. This is what I would try to do and this would probably be the earmark of a Fred Olen Ray show. 5: With the rise of video streaming sites on the internet, such as YouTube, what do you think the impact has been on prospective film makers? I think YouTube, and sites like that have opened the door to film piracy in ways that we’ve never seen it before. And the lack of responsibility demonstrated by YouTube is startling. We’ve had “Hollywood Chainsaw Hookers” (and) had to take it down off YouTube, the entire movie, 25 times or more. And you would think that after removing a content with a title like “Hollywood Chainsaw Hookers” 25 or 30 times, there would be some sort of red flag that goes up on YouTube when someone goes to upload the entire movie. But no. And our films are pirated and scammed on YouTube constantly and I think that someday soon they’re going to have to be held responsible for what they know is illegal activity that they are promoting. 6: What advice would you give to someone who wants to follow your path into low budget films? The market for the kind of films that we used to make doesn’t exist anymore. Today it’s a television, TV movie market. And there is a market for Christmas movies, there is a market for Lifetime channel type women’s thrillers, but that’s the bulk of what’s out there if you want to make a living, as opposed to simply getting something on DVD that you can point at and say “Oh, I did that”. The problem with that is that you have to be very proficient professionally. And as we look around in our own world of being a DVD distributor, we see a lot of independently from around the country, and most of it is not professionally produced. It’s amateurishly produced, from a standpoint of it wouldn’t fly with Lifetime Channel, or Ion Channel, or UP TV, or Showtime, you know… sometimes there is, but for the most part, most backyard productions are people learning how films are made. And if you want to become a professional film-maker your films have to have that professional polish and gloss. Most people’s cameras that they are using are like still cameras that record video, and a lot of these cameras would not pass QC, which means quality control. But now distribution of your own work on DVD is very, very easy. What’s really hard is to make a real profit with these films. It’s really tough. 7: If you could work with just 1 actor/writer/director above all others, who would it be and why them? I always wanted to make a movie with Vincent Price, and I came very close and was invited over to his house one afternoon to discuss the project that was “Mob Boss”, but he was just too sick to perform and I was very disappointed. I always wanted to work with Christopher Lee, and of course that is gone now as well. Beyond those two there isn’t anybody that overwhelms me in the business anymore. I love the times that I’ve worked with Roger Corman, I’d love to work with Roger again. But that’s kinda… that’s it, right there. 8: What do you consider to have been the worst professional decision you have made regarding a film? I’m not sure, to be honest with you. (repeats question) I don’t think there is, I don’t think there is such a thing on one of my shows. I mean, some films I wish I hadn’t made them at all, because I think maybe perhaps down the line they hurt my career, and I should have said no to some shows that I said yes to, and I probably said yes to some shows that I should have said no to, so that would probably be the answer to that one. 9: Out of the current crop of genre directors who excites you the most? There isn’t anyone in the current crop of genre directors that excites me. 10:Finally, if you could travel back in time to your first day in the film industry, what advice would you give yourself? I would tell my younger self to shut up and do your job. I think I was way too opinionated, I think I was too fast to give out my opinion. I think I was too micro-managing, and sarcastic which I still am, but I think today looking back, I am less micro-managing now, and yeah, I’m still opinionated but I’ve learned to shut up and do my job. And that’s what I would advise everyone else to do. Thank you. No, Sir, thank you for being gracious enough to answer my questions.